Welcome to what just may be America’s smallest St. Patrick’s Day Parade. “It’s just fun and quirky and everybody is super excited and green and everybody loves it,” Emily Sturrock from St. John said. Quirky is just the beginning of it. 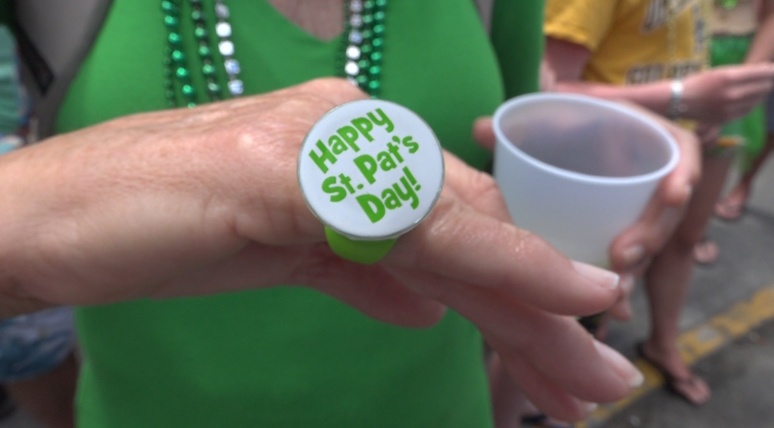 People decked in costumes, funny tee-shirts and leprechauns, lined the parade route in Cruz Bay on St. John. Some have been coming here for decades! “Good plan to be,” Charlie Williams said. Williams has been coming to the St. John St. Patrick’s Day Parade since 1991. He lives in Boston, which has a big parade of their own, but he prefers it here. Laid back and fun is how people describe the tiny parade outside Quiet Mon. As community groups parade past. “Listen the people are so resilient we just love our Island,” Leslie Hauquitz said. This is Hauquitz’ first time back on St. John since Hurricane Irma hit. She’s been living on St. Thomas bouncing from home to home as they work to rebuild their lives. She said this is a way to let off some steam and celebrate life. No luck needed- nothing is going to stop this St. John tradition.